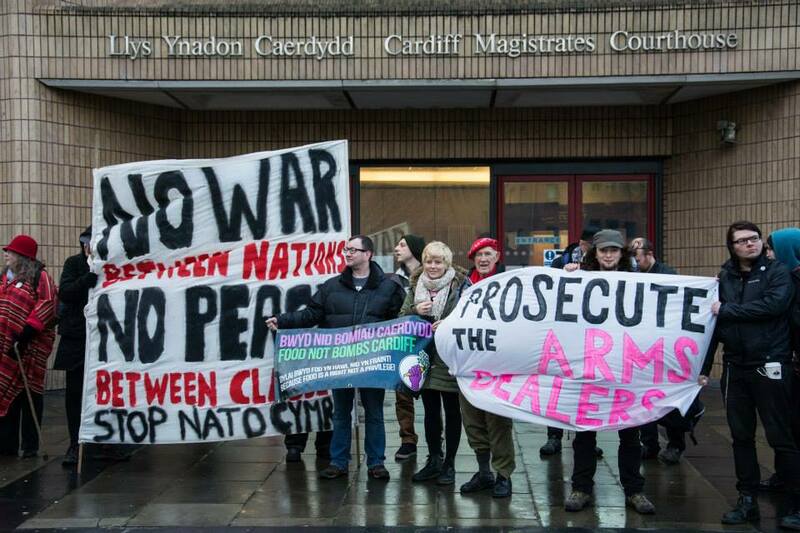 On the 6th of January 2015 two local people stood trial, accused of disrupting last year’s Defence Procurement, Research, Technology & Exportability (DPRTE) Arms Fair, now an annual occurrence in Cardiff. The defendants were accused of throwing red paint at delegates entering the fair, damaging their luxury goods worth hundreds of hundreds of pounds. They were charged with Criminal Damage and breach of s.4A of the Public Order Act (“Causing harassment, alarm or distress with intent”). They were advised that the prosecution would be seeking custodial sentences. The defendants sought to run separate, distinct defenses. The first was to put forward a factual defense that the police had grabbed him and wrestled him to the ground for no reason. The second defendant contended that they had been acting out of necessity in an attempt to prevent war crimes based on the arms fair’s various links to Israel and the horrific attacks against Gaza that took place over the summer, in the context of the continuing oppression of the Palestinian people. Before the trial started some 30 supporters gathered outside Cardiff Magistrates court for a solidarity demonstration with the two defendants. 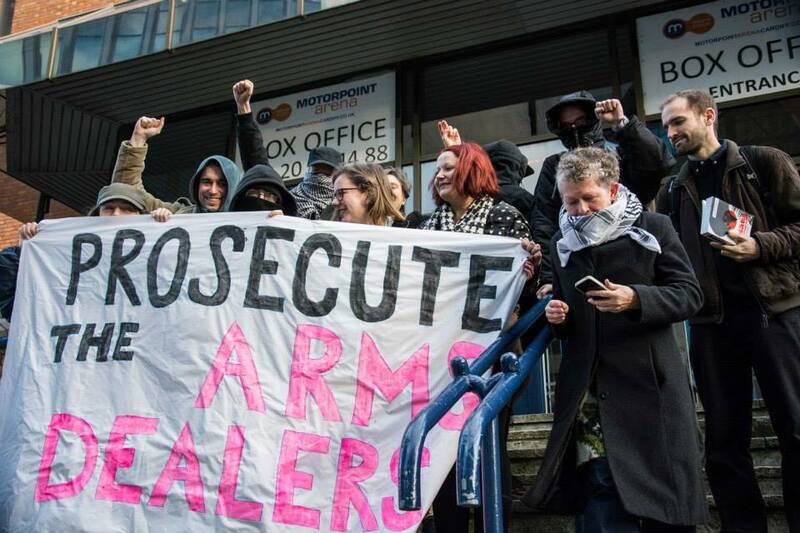 Several groups came out to support, including Food not Bombs Cardiff, Anarchist Action Network, Afed Bristol, Cor Cochion Caerdydd, Bristol Defendant Solidarity, Bristol Against the Arms Trade, disarmUWE as well as South Wales Anarchists. Throughout the day defendants and their supporters were followed and surveiled by Police Liaison Officers, who largely failed in their documented intelligence gathering role since all attendees wisely declined to engage with them from the outset. Court proceedings were delayed for hours as there was no prosecutor – the Crown Prosecution Service was called and the prosecutor who had been appointed to the case said he knew nothing about it. A replacement prosecutor was then speeded to the court. As the arms dealers and lay prosecution witnesses had also failed to turn up, the prosecution sought to amend the charge to Criminal Damage of the arresting officer’s uniform. One of the police witnesses had claimed paint damage to his uniform – which surely, if it had occurred, would have been the result of manhandling and grabbing the defendants when they were arrested. The District Judge said that this was “moving the goalposts” considerably and that Criminal Damage by paint transfer during an arrest when the police grabbed the defendants would be “ludicrous”. After lunch the CPS informed us that it would drop all charges. The many supporters in the public gallery broke out into applause and the judge scolded them saying “this is NOT a football stadium!”. The DPRTE arms fair will be returning to Cardiff Motorpoint Arena on the 8th of March 2016. To flog their machines of torture and death. 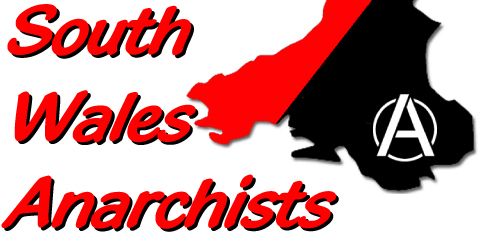 The people of Cardiff and beyond stand ready to oppose them and we ask that you will join us. Categories: Anti-militarism, Palestine, Protest . Tags:anti-millitarism, Cardiff magistrates court, court solidarity, Court Suppourt, DPRTE . Author: C.A.N.